Yin Yang is a balance between two opposites. Dualism is prevalent in design now. Inspiration from our heritage aids in designing with technology for our future. There are advantages in modern innovation and tradition. What is valuable? At Maison&Objet we look at the Precious trend where the definition of what is prized ranges from time to a diamond ring; raw materials and the talent and know-how to create worth from them. Theory, products, and color palettes take design to the next level. Get inspired with the October edition! Paris — The Trendease Team has been reviewing the thousands of images and hundreds of press kits we have accumulated in the last month. While we cross reference and organize the information it is already clear that “duality” is an integral word for 2016. Earth, smell, money, sight, friends, time, air, nature, love, family, beauty, excellence, data, identity, water, knowledge, memories, know-how, and taste. 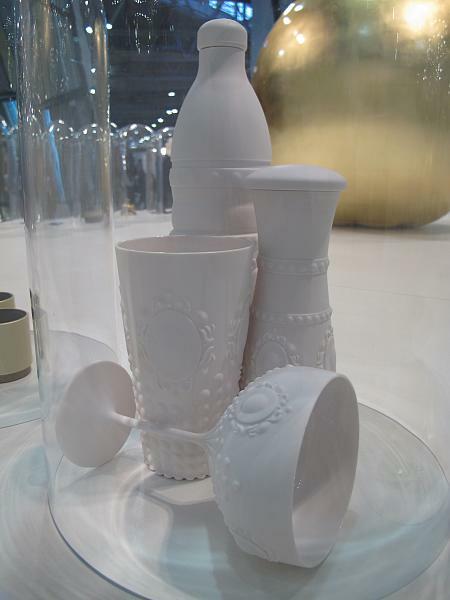 These are just some of the ‘Precious’ “items” found at Maison&Objet so delicately displayed under bell jars. Come to learn about Yin and Yang Design Duality here. Paris — This September Maison&Objet shifted from three trend themes to one, ‘Precious’, the first inspiration forum part of a new rotation of the Observatory. The theme was chosen collectively and then materialized at the hands of Elizabeth Leriche, staged by Vasken Yeghiayan. With many of the items seen on display, there was a lot more than met the eye, which is why we selected a number of the artists’ statements to share with you that coincide with the 100+ images we took of the exhibition. London — During the London Design Festival, at Tent, Dulux, producer of paint for the interiors industry, collaborated with a team of hot design talent to unveil the publication ColourFutures 16, which this year motivates us to revel in opposites and duality with the principal theme ‘Looking Both Ways’. Learn about the dominant color of the year and the four directions the team of international experts in architecture, textiles, product design, graphics and research industries has developed. London — Contemporary vintage? By reflecting upon the past we are able to move forward and design for the future in Heritage and Future. Knowing where you come from helps you to pave the road to the future. This 2016 Dulux color story hones in on reds to reflect a rich heritage, and at the same time has a bright modern-day feel that points to the future. A color palette and room settings help to envision this direction. London — It is printed, “A picture may paint a thousand words but with so much imagery overloading us, do we trust the written word more?” Colors of blue ink from pens and graphite from pencils contrast the hues often seen on the screens of smartphones and social media sites. The palette is adapted for interior use. Letters are used as decoration. Graphic simplicity takes over. London — The Dutch masters were brilliant with their play of light in darkness. A tiny accent could transform a painting. For many of us today the city lights are blinding and rob us of the dark of night that is needed for a sound evening sleep. This palette returns the darkness to us with deep hues of blue, green, and both cooling and warming neutrals. Ombré paint effects are also key for this design direction. 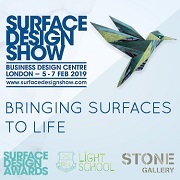 Paris — The trend forum at this September’s Maison&Objet from Ateliers d’Art de France explores the rich association between creation and nature. A four-part dialogue created by Elizabeth Leriche under the name of “Surnature” is composed of Urban Nature, Precious Nature, Blissful Nature, and Mysterious Nature. Paris — In Precious Nature giant tropical leaves decorate interiors both authentically and as prints. Gold leaf, golden paint, and the precious metal itself adorn products from jewelry to ceramics to the fixtures of the lighting and the hinges of the containers. Everything has its place and is on display in frames, cabinets, boxes, cages, and bell glasses. Paris — Enter Blissful Nature and it is a lot like a fantasy world where the flowers are supersized, the fauna are miniaturized, the garden is on the ceiling, and the blossoms are of ceramics. Humming birds and butterflies waltz through the air. Happy pastels and rainbow brights decorate the products; otherwise, it is pure white that reigns. Paris — Awaken in a snow covered forest where the birch trees command attention and the woods are saturated with inspiration – woods that brag about their delicacy or their sturdiness. There is beauty in both. Painted patterns, earthenware mimicking nature, plus furniture and accessories that are just as home in the timberland as in the living room, Mysterious Nature is getting in touch with what is outside and within. 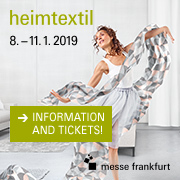 Frankfurt — In this week’s newsletter and gallery we share a sneak peek of what stilbüro bora.herke.palmisano has prepared for the Ambiente trend areas to be realized at the fair in February 2016. Four trend groups are developed for one of the world’s largest consumer goods fairs. Learn about them here! Brussels — Launch Pad is a fresh initiative by MoOD, curated by Trendease International, showcasing some of the brightest talent entering the home fashion arena scouted from around the world. The Launch Pad introduces talent utilizing the latest technologies and experimenting with cutting-edge materials, bringing together such eye openers as conductive embroidery, edible lace, and special fish leathers. At MoOD 2016 we plan to double the offer! Brussels — The tidbits within come straight off the Innovation Platform, one of MoOD’s biggest attractions; part of which Trendease had the pleasure of curating. The highlight of this week was when Trendease was featured on US national television on the TV show Designing Spaces. For those of you who may have missed it on the telly (or don’t live in America) you can find the episode online here.